Having the right supplies on hand is critical to the success and consistency of any thermal joining application. That's precisely why Master Appliance offers a wide variety of heat-activated materials. 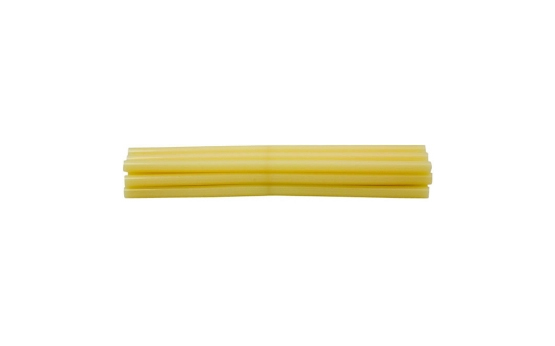 We carry a broad selection of large glue sticks and plastic welding rods to ensure that you can find what you need for any type of job or application. When working with cartons, crafts, furniture, POP displays, and other products or substrates, our selection of heat-activated glue is the perfect place to search for specially formulated adhesives. We carry carton-closing, general-purpose, and woodworking glue sticks in convenient 12-count packages or 20-pound cartons. No matter what kind of materials you require, we have all your needs covered in our collection. Many of the products we use today have components that are made from plastics. In the automotive market alone, bumpers, grilles, spoilers, light surrounds, and body panels are all typically made of plastic in order to retain impact resistance and eliminate corrosion. Plastic offers the structural integrity of steel, but it is still susceptible to damage. 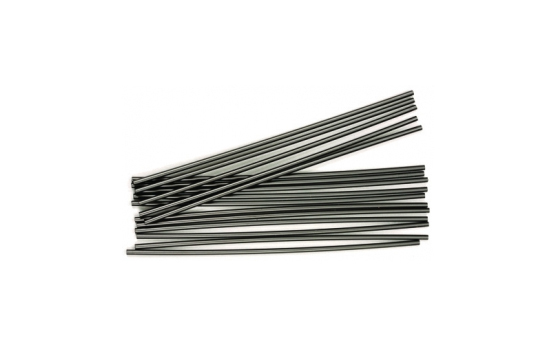 Where welding is possible, our plastic welding rods provide the perfect solution. We offer ABS, HDPE, LDPE, PP, and PVC welding rods to help you create a permanent bond as well as a smooth, continuous weld. HDPE and PP rods are some of the easiest to weld, whereas ABS rods provide reliable cost-saving benefits. Each package we sell comes with 16 welding rods, and we offer an array of colors to choose from. If you are looking for heat-activated materials that are held to the highest standards of quality, you have come to the right place. Whether you specialize in carton sealing, woodworking, product assembly, electrical potting, or general manufacturing, we are here to help. Before finalizing your order, please keep in mind that you must only adhere like plastics to each other to ensure a strong and consistent weld. For example, polypropylene should only be welded to polypropylene. Please feel free to contact us with any questions or concerns. Our customer service representatives would be happy to help you find the best heat-activated materials for your project. Call 800-558-9413 today for additional information or further assistance.